Orchha means 'hidden'. Orchha is a town in Tikamgarh district of Madhya Pradesh. The town comes as one of the few places in India that combines natural beauty, the artistic legacy of history and a convinced credibility. 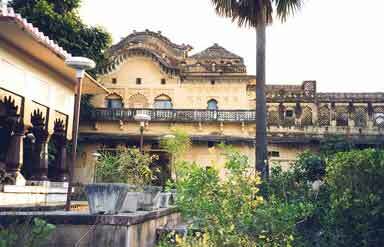 The olden palaces and temples shape to Orchha a renowned tourist destination in Madhya Pradesh. Bordered by the beautiful Betwa River, Orchha shows the luxury and richness of the powerful Bundelas. This town brings in vision an unmatched presentation through its spectacular forts, noble palaces and poetry inscribed temples attracting to photographers to click the incredible Madhya Pradesh. Life in Orchha truly turns about the Ram temple where you may have to the reverberant Hinduism. Bundela chief, Rudra Pratap Singh founded to Orchha in the 16th century. He chose this expanse of land along the Betwa River. It remained the capital of powerful Rajput Kingdom from 1583 till 1783. 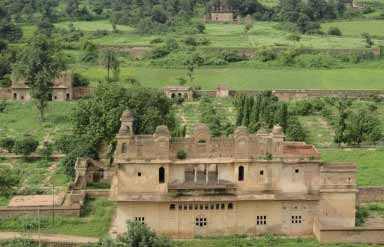 Orchha’s golden age was during the first half of the 17th century when Jehangir visited the city in 1606. The temple is an abode for Lord Rama in Orchha town of Madhya Pradesh. This appears out as one of the most favourite tourist attractions in the city. 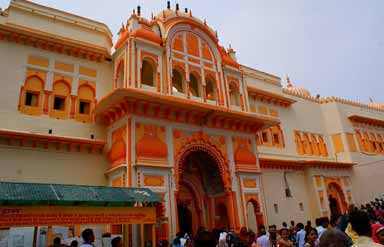 Ram Raja Temple is the only temple all over the country where Lord Rama is worshipped as a king and the temple premises were formerly a palace. The temple in Orchha displays an incomparable form of architecture that is a beautiful mixture of a fort and a temple moulds. This lies on a hill north west to the town Orchha. The temple bears the most beautiful paintings of the 17th and 19th century that show beating compositions from fabulous themes. There is a flagstone path linking to Laxmi Narayan Temple with Ram Raja Temple. Raja Madhukar built to Chaturbhuj Temple in Orchha between the years 1558 and 1573. The temple comes one of the aging pieces of architectural beauty, situating right opposite to Raja Madhukar's Mahal. The exterior walls of the Chaturbhuj Temple get designed with different religious symbols while the interiors are plain offering the heavenly consolation. Rai Parveen as poetess and musician was the beautiful paramour of Raja Indramani (1672- 76). Rai Parveen was sent to Delhi on the orders of the Emperor Akbar, who got entranced by her. This Mahal was built for Rai Parveen is a low and two-storeyed brick structure. This is intentional to match the summit of the trees in the surrounding, setting in the beautifully gardens of Anand Mahal. This wonderful garden witnesses to refined beauteous qualities of Bundelas. A central row of fountains comes culminated in an eight columned palace-pavilion. Phool Bagh as a cool summer retreat beside the Palki Mahal positions remembrance to Dinman Hardol, son of Bir Singh Deo who died to show his innocence to his elder brother Jhujhar. Madhukar Shah, the profoundly spiritual forerunner of Bir Singh Ju Deo, built to Raj Mahal in the 17th century. Crowned by chhatris, the apparent exteriors show way to interiors with beautiful wall painting, boldly flashy on a mixture of religious themes. Weather in Orchha appears hot and cold. In summers, the temperature rises to about 48°C. During December to February temperature is enjoyable within a range of 9°C to 25°C. Best time to visit Orchha is October to March. By Air: Gwalior gets the nearest airport to Orchha (116 km). Here the flight services befall available to Khajuraho, Delhi and Varanasi. By Rail: Jhansi is the nearest railway station to reach Orchha at a distance of 16 km. Jhansi comes set on the major rail route and there are daily train services to the major cities in India such as Delhi, Mumbai and Agra. By Road: Orchha is well-connected by buses with Bhopal, Delhi, Varanasi, Khajuraho and Gwalior. Many private and Government bus services are available to reach Orchha from Jhansi (16 km). Orchha is none other than a heroic tale of Kings!